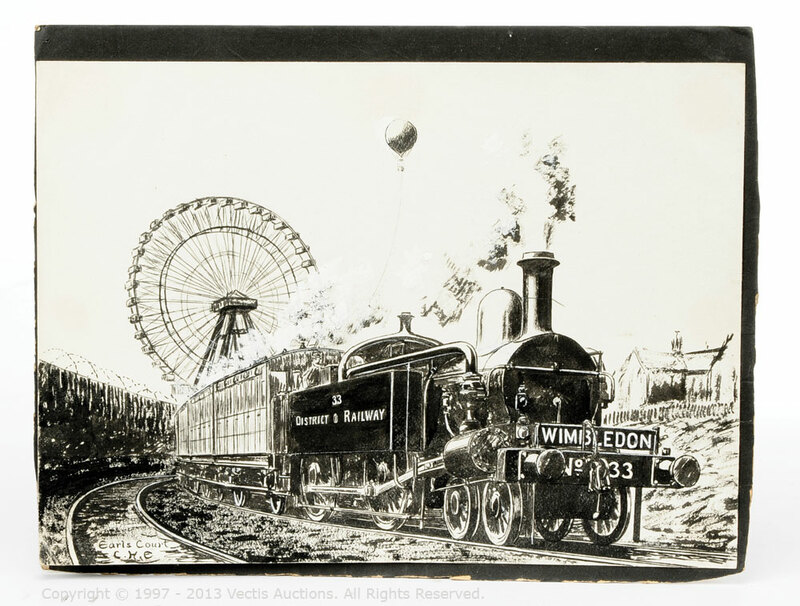 Original artwork ‘Earls Court’ depicting a Wimbledon bound district railway 4-4-0 number 33 tank locomotive pulling a passenger train, with a Ferris wheel and tethered balloon from the amusement park behind. 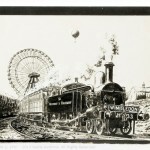 Paper mounted on card with hand written legend verso ‘Steam on the London Underground District Line train leaving Earls Court about 1900. I’m not sure of the date; about the time the exhibition balloon blew on to the great wheel and bust’ which appears to be written by Hamilton Ellis himself. It is unframed, and it’s Excellent. Signed ‘C.H.E’ pen and ink.